As part of the week of service honoring President Szczerbacki’s inauguration that was held last week a group of 11 students, myself included, went to the Corning Bioreserve this past Saturday. What makes this act of community service stand out from the rest of activities that made up the week is the fact that President Szczerbacki went with us. That’s right, I spent a good portion of my Saturday volunteering with the President of my college and I am not too sure of how many people can say they did that (especially since it was only a week after he was inaugurated)! 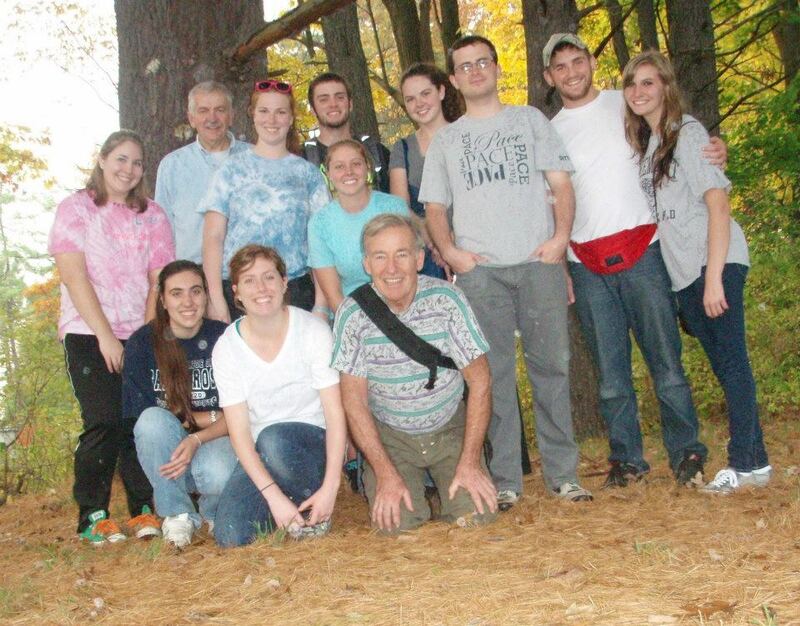 President Szczerbacki made up the twelfth member of the volunteer team that made the short commute to the Corning Bioreserve. When we got there we were met by the man who is now in ownership of the once Corning land and as we soon saw he was very excited to show us around the property. The most surprising thing to find on the property was a room in an old gate house that had been converted into a rather impressive laboratory filled with microscopes and books. All throughout the property ran trails that lead to other trails, tree platforms, waterways, and clearings. It was on one of the these trails that the group saw a deer run past just as an owl was flying overhead- this seems more interesting if you remember we were in Albany. 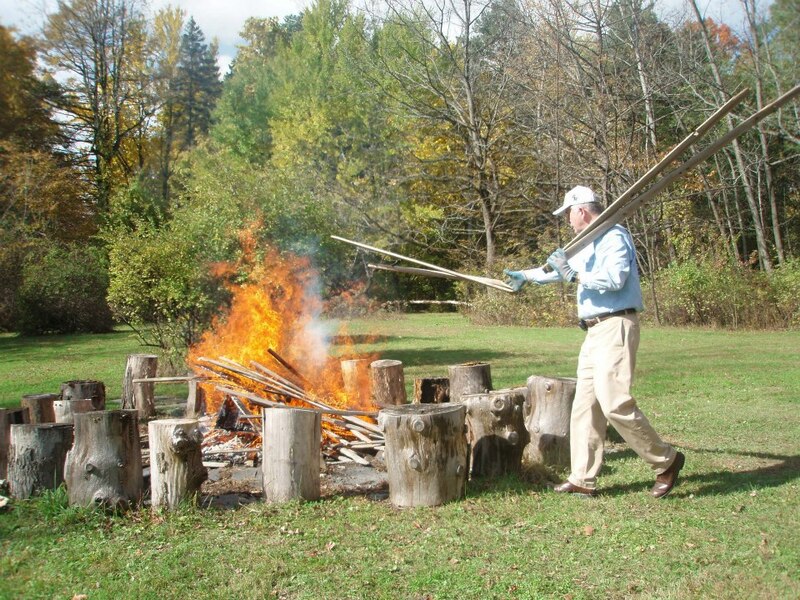 Aside from checking out what was on the property the group was charged with burning old fence material that had accumulated on the grounds over the years. This resulted in a massive fire that everyone took turns feeding, including the president, while others went off to complete other tasks. The other tasks included collecting water samples from a nearby waterway to see the amount of chlorophyll that was present. The third job that the group completed was the most unique as it required climbing to the top of a three story tree platform and sweeping leaves off of it. The trip to the Corning Bioreserve was another great outlet for students to get involved and give back to the community. The trip also offered the 11 students that attended a chance to better get to know President Szczerbacki in a relaxed and candid environment. 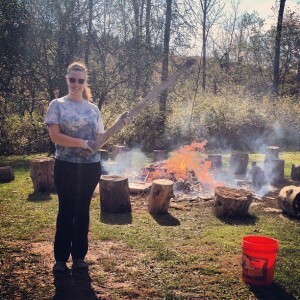 As I look back on my college career years from now I, along with my peers that I volunteered with, will remember that one Saturday I burned fence material and hung out with the president of my college. ← Undergrad vs. Grad School, What’s The Difference?